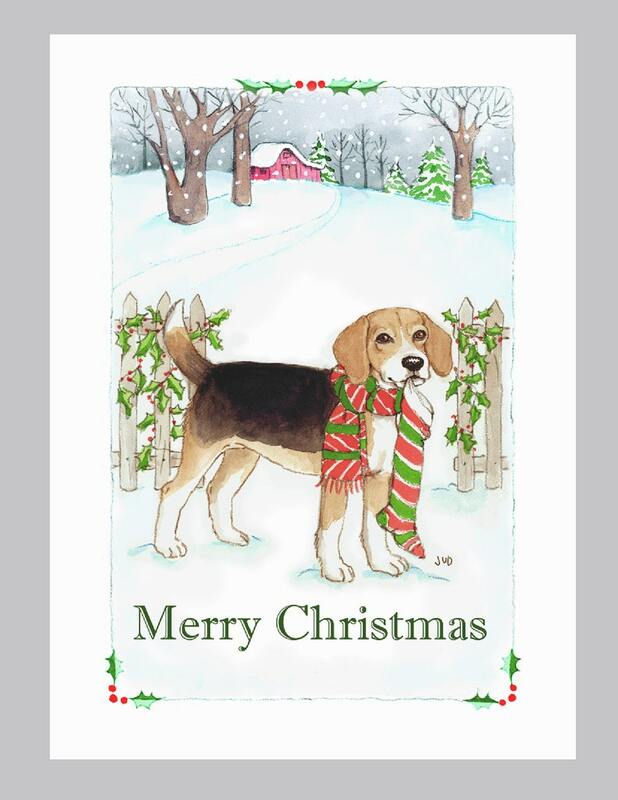 The congenial Beagle is featured on this Christmas Card. Share your Holiday Greetings to family & friends with your favorite canine companion. Très bien reçu, et très satisfaite ! Toujours très contente des commandes de cartes passées, elles sont magnifiques et la livraison est rapide et très bien soignée, merci beaucoup !! THANK YOU !! Shipping time was great. There cards are so cute. Our beagle looks just like the one on the card. Very nicely made and the way the order was packed was very good.No damage to the cards. These are so cute!!! Fast ship just in time for Christmas!!! Thank you.